A practitioner of Ashtanga yoga since 2008, Kilee Kadrie Weiler completed a 200-hour yoga teacher certification with Mary Beth Nehl at The Yoga Loft in Willmar, MN in 2012; a curriculum newly adopted by Beryl Bender Birch at The Hard and The Soft Yoga Institute. 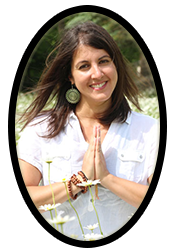 To expand her teaching, Kilee has been a student in workshops with David Swenson, Tim Miller, Doug Keller, and Manju Jois. In 2014, Kilee completed 80-hours, Levels 1 and 2, Prenatal and Advanced Yoga Certification through Blooma in Minneapolis, MN. She currently teaches both Vinyasa and Prenatal yoga in Minnesota and Virginia. Kilee is passionate about childbirth education, a member of Birth Matters VA, and seeks to lead her yoga classes with the intention that students find a sense of inner peace and awareness.